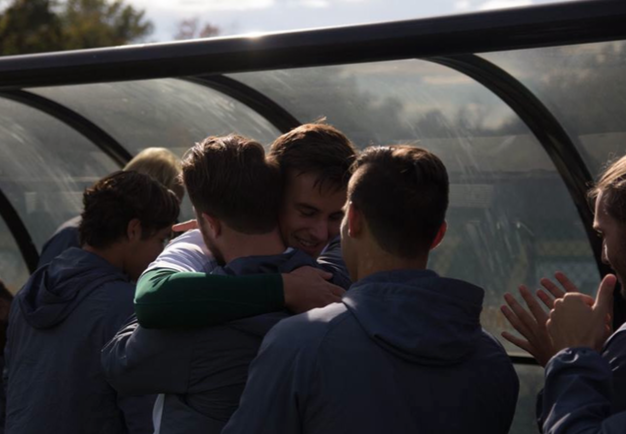 After back-to-back one-goal victories, men’s soccer stepped on its home field for the last time in the regular season on Wednesday, Oct. 26, facing the University of the District of Columbia. 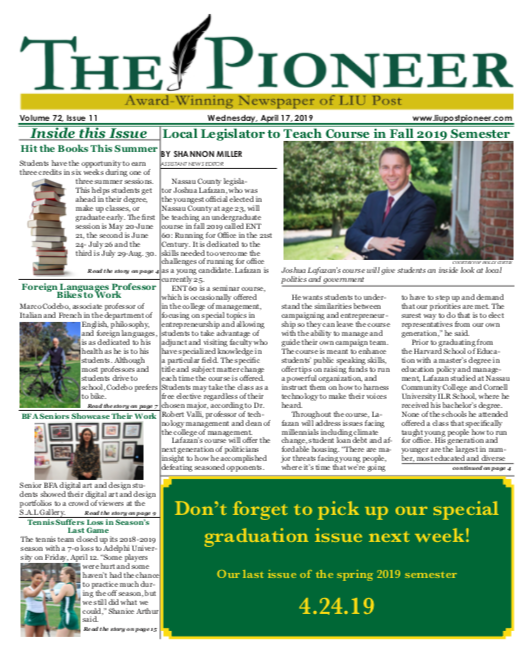 The Pioneers upended the Firebirds, 4-1, to go undefeated on the season for the first time in the program’s history. The no. 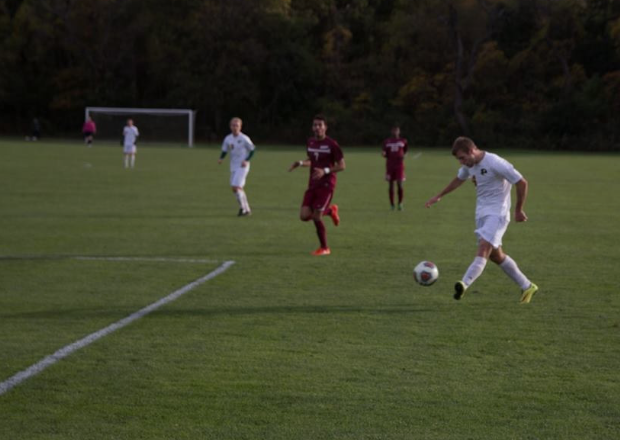 2-ranked Pioneers scored the first goal in the 13th minute via senior forward Jason Lampkin. In the 29th minute, sophomore midfielder Charlie Ledula liked the Lampkin goal and decided he’d have one of his own. Both goals were courtesy of passes from junior midfielder Harry Pearse. Shortly before halftime, the Pioneers extended their lead to 3-0 and took that lead into the break. In the second half, the Pioneers did surrender a goal but that was all the visitors would get. To avenge the missed shutout opportunity, junior defender David Arvidsson added a fourth of the day for the Green and Gold on a penalty kick. an honor they have had the luxury of holding seven out of the last eight years. The Pioneers were pushed to the limit, however, as they were seemingly outplayed in the first half, surrendering a total of 11 NYIT shots compared to just two for the team. Senior keeper Jesper Malmstrom turned aside all four shots that came in his direction in the first 45 minutes to keep the game scoreless. The Pioneers broke the tie in the 66th minute when freshman forward Michael Sutton, scored his first collegiate goal with a little help from Pearse who assisted on the tally. The Bears, who were the aggressors in the first half, were stifled by Malmstrom and his defensive unit who allowed zero goals yet again to preserve the victory for the Pioneers. 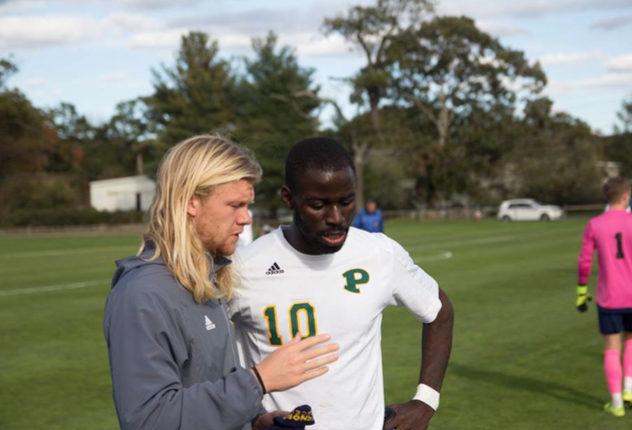 The Pioneers, led by Head Coach Andreas Lindberg, earned the no. 1 seed in the ECC playoffs. The team will host St. Thomas Aquinas College who holds the fourth-seed slot. 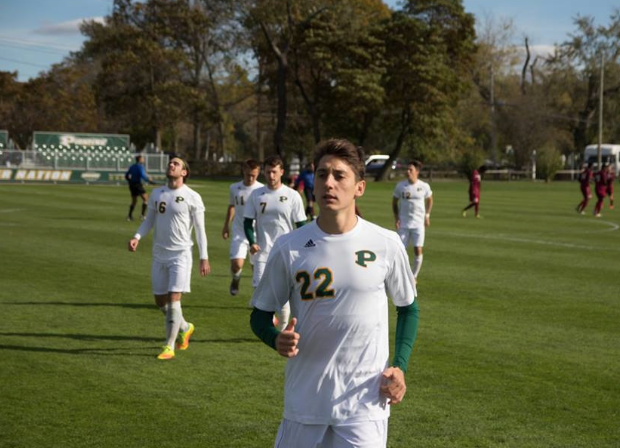 In their lone matchup this season, the Pioneers came out victorious with a 1-0 win on Oct. 23. Start time from the Pioneer Soccer Park on Thursday, Nov. 3, is set for 1 p.m.